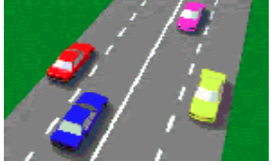 In this practice test you will be required to answer all 29 questions about traffic lanes from the Driver Knowledge Test Question Bank. Watch for a gap and merge with the traffic at the speed it is travelling. Speed up and force your way into the traffic. Stop, then enter the traffic quickly. Cross them to turn into a driveway or property, if it is safe to do so. 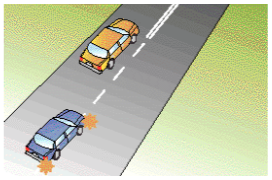 Cross them to overtake a car ahead if it is safe to do so. Cross them to make a U turn. You are on an open country road with double unbroken dividing lines. There are no side streets and no entrances to properties. Are you allowed to cross the dividing lines? Yes, to overtake another vehicle. 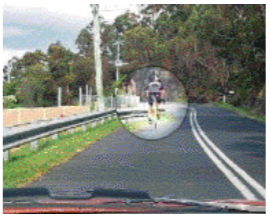 Yes, to overtake a pedal cyclist. To enter or leave a street or driveway. 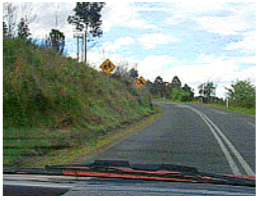 To overtake a slow vehicle ahead. When there is no traffic coming the other way. The vehicle which has to cross the lane line. The vehicle in the right-hand lane because it is overtaking. Take whatever action is necessary (with safety) to make way for the emergency vehicle. Increase your speed to avoid the vehicle. Wait behind car B until it moves into the left lane. Cross the unbroken single line and overtake. Cross the line and overtake only if it is safe. Do not overtake because you are not permitted to overtake on double lines. Continue to overtake because you started when the line was broken. 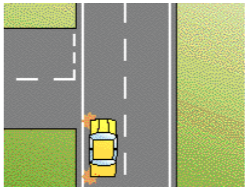 Keep overtaking and cut in front of the other car as soon as possible. Yes, you can cross an edge line to turn into or out of a street. Yes, only if you are in a taxi, hire car, bus or you live in that street. Signal in plenty of time, check your mirrors and look over your shoulder for other vehicles. Speed up so you are going faster than the traffic in the other lane. Signal for at least two seconds and quickly change lanes. Yes, you have two people in your car so you can drive in this lane. No, because you only have one passenger you must move out of the transit lane immediately. Yes, you can remain in the transit lane, but only if you are turning left in 250 metres. Change lanes as soon as it is safe because you are not permitted to travel in a T3 lane with only two people in your car. Keep driving in the T3 lane because there is no other traffic in it. Immediately pull over to the left and stop. 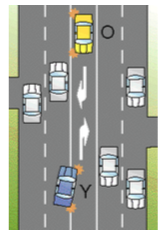 Then wait until it is safe to continue in another lane. No, because you can only travel in the transit lane if the intersection you are turning left at is within 100 metres. Yes, because you only have a short distance to drive. Yes, if there is no traffic behind you. Yes, but you must be prepared to slow down and stop. No, if another car is already in the median turning lane you must not use it. Yes, but only if you race the other car and get to the turning position first. No, unless you are driving a hire car or a taxi. Yes, if you pick the passenger up and then immediately drive off. Yes, you are allowed to stop in a BUS LANE for as long as you like. There is a lane just for light rail vehicles. You are approaching a lane that is only for buses. Slow down and prepare to stop for a train. Position R. As close as possible to the right side of the road. Any position if it is safe to do so. Position M. From the middle of the road. You need to watch out for all large, long vehicles which are turning. It is best and safest to speed up when a vehicle behind you tries to overtake you. The faster the vehicle you are overtaking is going, the less distance you need to overtake. 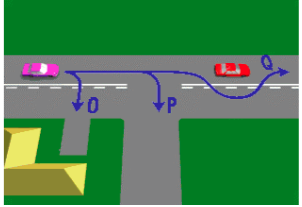 The left lane unless overtaking. The right lane to avoid slow moving vehicles. Either left or right lane. Always required before turning or lane changing. Not required when turning at T-intersections. Not required when turning at traffic lights with a green arrow. 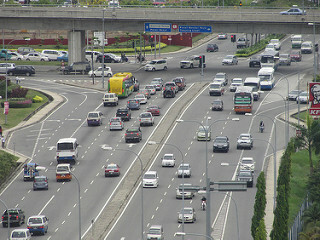 Watch for a gap and increase your speed to safely merge with the traffic. Slow down and force your way into the traffic. 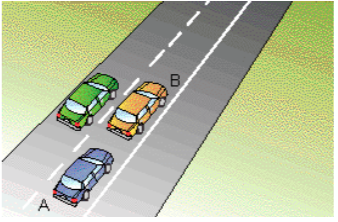 Either vehicle, there is no rule on giving way when merging.